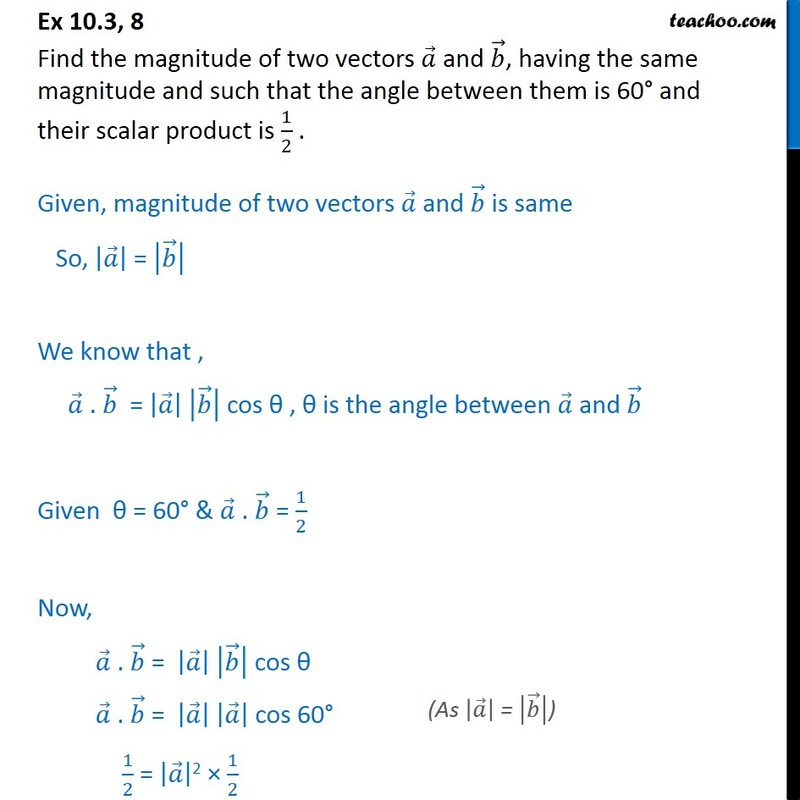 Ex 10.3, 8 Find the magnitude of two vectors and , having the same magnitude and such that the angle between them is 60 and their scalar product is 1 2 . Given, magnitude of two vectors and is same So, = We know that , . = cos , is the angle between and Given = 60 & . = 1 2 Now, . = cos . = cos 60 1 2 = 2 1 2 2 = 1 = 1 Since, magnitude of a vector is not negative, So, = 1 So = = 1 Thus, magnitude of and is 1.